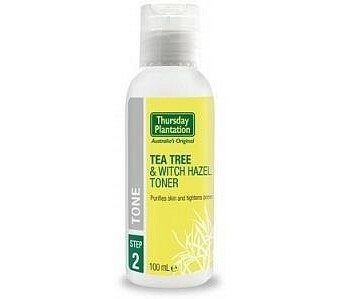 Tea Tree & Witch Hazel Toner, with its soothing effect purifies the skin and gently tones and tightens pores. 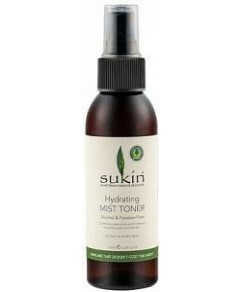 With the help of a natural antibacterial agent, this specially formulated toner can remove excess oil and bacteria from the skin. Its aloe vera and lavender properties makes it suitable for all skin types. Ingredients: Water, hamamelis virginiana water, polysorbate 20, sodium PCA, glycerin, sorbitol, melaleuca alternifolia leaf oil, lactic acid, potassium sorbate, sodium lactate, allantoin, lavandula augustifolia oil, aloe barbadensis leaf juice powder, limolene, linalool.